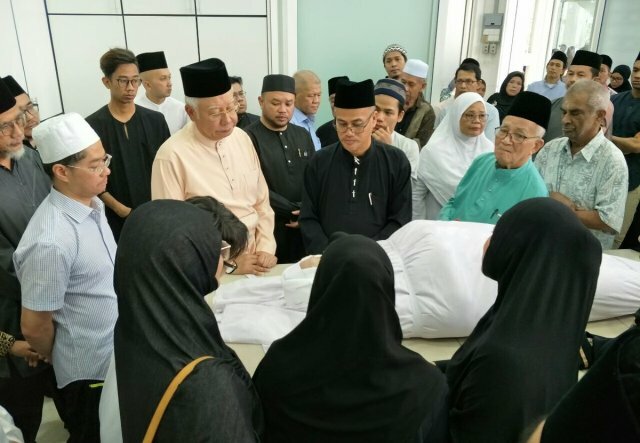 SHAH ALAM — Former Selangor Menteri Besar Tan Sri Dr Abu Hassan Omar, who died yesterday, was blessed with a great grandson who was born on the National Day on Aug 31, said his youngest daughter, Datin Hasnorhana Abu Hassan. “Alhamdulillah (with the grace of Allah), my late father managed to see his first great grandson who was born on Merdeka Day about one week before his death,” said Hasnorhana, 41, sadly when approached by reporters after the funeral prayer for her father at the Sultan Salahuddin Abdul Aziz Shah Mosque, here today. 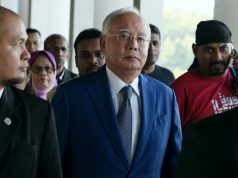 Also present to pay their last respects were the prime minister’s wife, Tun Dr Siti Hasmah Mohd Ali and former prime minister Datuk Seri Najib Tun Razak. Abu Hassan, 77, died last night at about 8.05 pm at a private hospital, here following a heart attack. According to an associate, Datuk Mohamad Isa Ishak, Abu Hassan complained of breathing difficulty and chest pain yesterday afternoon and was later taken to a private hospital here for treatment. 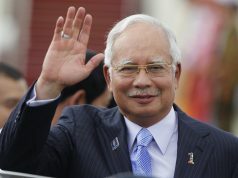 Besides the great grandson, he is also survived by his wife, Puan Sri Wan Nor Daud, four children and 15 grandchildren. The remains of former Selangor Menteri Besar Tan Sri Dr Abu Hassan Omar, who died last night, were buried at the Shah Alam Royal Mausoleum, here, about 2.30pm today. The Sultan of Selangor, Sultan Sharafuddin Idris Shah and Tengku Permaisuri Selangor, Tengku Permaisuri Norashikin attended the funeral. Also present were Menteri Besar Amirudin Shari and hundreds of family members and friends. Abu Hassan, 77, died last night at about 8.05pm at a private hospital here following a heart attack. He is survived by his wife Puan Sri Wan Nor Daud, four children, 15 grandchildren and a great grandson. Meanwhile, when met by reporters after the funeral, Abu Hassan’s son Mohamed Hazali, 44, said that his father was planning to attend a special prayer with family members prior to his death. “In terms of politics, my father continued to serve the community apart from playing a role during the 14th General Election,” he said, adding his father’s last post was as Selangor Former Elected Representatives Council chairman.